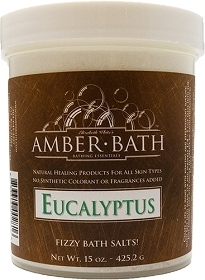 Create a spa at home with healing and slightly effervescent soaking salts. All natural ingredients coupled with aromatherapy will wash the daily grind down the drain. 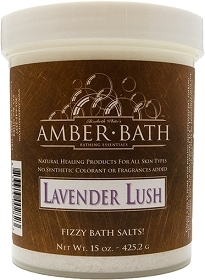 These bath salts are made from 100% sea and dead sea salt with pure essential oils. The aromatherapeutic fizzing nature of the salts, and healing benefits of the essential oils provide a luxurious spa experience when added to a warm tub of water.